Are you overwhelmed by researching all of the food products that you need to avoid? Do you feel like you fall down a rabbit hole of infinite dietary restrictions when you try to do your own research? I understand how living in the era of infinite information can make learning anything daunting. 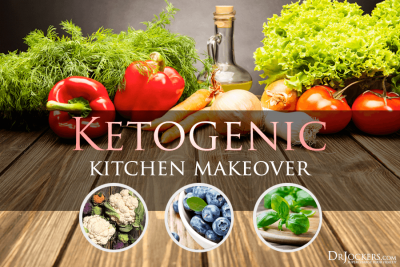 In this article I have summarized the foundational principles to turn your kitchen into a ketogenic kitchen that contains only the building blocks to better health and vitality. When first deciding to make the necessary changes to avoid toxins, hormones, preservatives, parabens, antibiotics, food additives, and all of the other harmful substances in our industrial and modernized food supply, it is OVERWHELMING to figure out what we actually CAN eat. You truly need a degree to navigate all of the information out there. By the time you finish reading this article you will know the staple cooking ingredients and snacks to keep in stock so you can make amazing healthy food choices without all the internal conflict. We all know vegetables are a must so we won’t be discussing produce here, but know that non starchy vegetables should be the main staple of all healthy diets! The majority of our vitamins, minerals, and other important phytonutrients come from vegetables so include a large portion with every meal. Having frozen vegetables has saved me, many times, when I did not have time to go to the grocery store or chop fresh vegetables. I can take a bag of precut frozen vegetables and sauté them in coconut oil or grass fed butter with a little bit of water to prevent the vegetables from sticking and burning. Sauté these vegetables with a lid on and you will have ready to eat vegetables within fifteen minutes or less. This is every bit as fast as ordering fast food, if not faster. It is also cheaper! I also like to store leftovers when I know I have busy days coming up and will be limited on food preparation time. Not everybody likes leftovers, however, I find it really helpful to cook once and have two or three meals instead of one. Many of my recipes can be scaled up for multiple servings and stored in the fridge to save time during the week. These powders are loaded with vitamins, vegetables, herbs, minerals, and chlorophyll containing compounds. They can be taken with you on the go and added to water for your quick and easy vegetable servings! 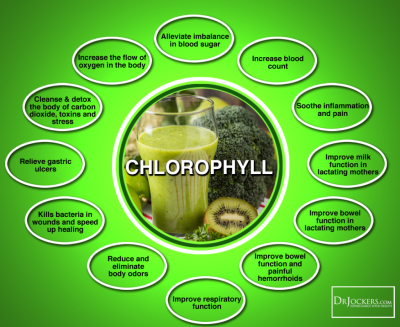 Chlorophyll is an especially powerful nutrient! I will add one to two scoops of this powder in my water daily, especially when I am having a hard time getting in other vegetables. I personally love the Bone Broth Protein Greens powder that contains greens from alfalfa and oat grass juice. I like to make a shake out of this using one scoop of the protein powder, 1 cup of coconut milk or full fat canned coconut milk, ¼ cup of berries, cinnamon, and 1 tablespoon of chia seeds. I will often times add 1 tablespoon of almond butter, a pinch of Himalayan pink salt, and a few drops of stevia in order to make it even tastier! You get the collagen protein from the bone broth protein that helps to support your gut lining, your skin, joints and bones. If you are going low-carb, this can be a great way to get more anti-oxidants and chlorophyll into your system. I don’t recommend eating much fruit because most of them simply are too high in sugar for the average person. I do, however, recommend using certain fruits strategically alongside workouts or when cycling out of ketosis. Because fruits can go bad quickly, it is a great idea to purchase them frozen. Berries particularly seem to go bad quickly while lemons, limes, and apples stay fresh longer due to their outer peels. You can use lemon and lime frequently to help stabilize blood sugar, improve stomach acid, and add flavor to foods. These are full of vitamin C and bioflavonoids, which are key for great immune function and better adaptation to stress. After lemon and lime, berries and granny smith apples are the best low glycemic fruit that you can incorporate into your diet daily. We recommend sticking to ¼ cup of berries and 1 granny smith apple a day. Note: Fruits still contain sugar and contribute to blood sugar spikes that can lead to insulin resistance and inflammation if over consumed. Sugars are absolutely necessary for proper function of the body but moderation and timing are key. Strategically consuming carbs will ensure damaging effects are prevented. Herbs are essential in every meal. Most people forget about them but herbs are loaded with antioxidants, flavonoids, antimicrobials, and enzymes. There are 12 herbs that come to mind when I think of my own kitchen that my wife and I use every day to boost the nutritional value of every meal. Turmeric powder contains curcumin and is known for its anti-inflammatory effects. It is known for helping reduce pain in patients who struggle with arthritis. It may also be beneficial for Alzheimer’s and preventing colon cancer. You can use up to 400mg of curcumin extract three times daily to reap the best benefits. 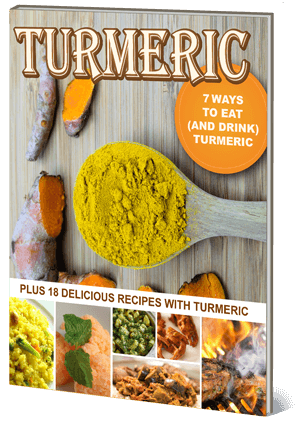 Turmeric as a spice should be added to foods after cooking in order to maintain its potency. Make sure to combine with a dash of black pepper and some healthy fats because this allows for better absorption of the beneficial compounds. Cinnamon, specifically Ceylon, has been shown to lower blood sugar and other risk factors for heart disease, including cholesterol and triglycerides. This herb can be added to coconut yogurt, apples, berries, or healthy fat treats for that savory dessert flavor. Rosemary is one of my absolute favorite herbs.When rosemary is added to foods before frying, grilling, or broiling meats at a high temperature, it has been shown to lessen the carcinogen load. Rosemary is great for fighting cancer and making foods delicious! I personally love adding it to soups and meat dishes. Ginger has been proven effective for combating nausea, constipation, and oxidative stress. Personally, ginger helped me overcome constipation by using it in a green juice. Ginger is available in powder form which has a spicy kick to it and can be added to salad dressings, green juices, and other meals. You can also buy ginger fresh as a root from your local grocery store and grate it into smoothies and dinner recipes! It goes well with asian flavors like Lo-Mein and Fried Rice. Basil has been shown to help combat stress, relieve headaches, and help digestion. I like to add basil to recipes such as this delicious Garlic Basil Spaghetti Squash. Oregano is a powerful anti-cancer agent along with its ability to help fight off harmful pathogens such as yeast, bacteria, and parasites. Oregano oil is something we add to bone broth to help many patients overcome gut dysbiosis. Fair warning, this does not taste the best but it does help with killing off pathogens! Adding ghee and pink Himalayan sea salt also helps with flavor! When I am speaking to someone who is sick, I like to recommend taking one oregano capsule twice a day with meals. This has helped so many people with viral infections, colds, respiratory tract infections, digestion tract infections, and even allergies feel better much quicker. Oregano is also considered a carminative which means it helps improve digestion while also helping to prevent digestive upset. Use oregano alongside rosemary, basil, and thyme for a fresh Italian flavor and a substantial nutrient boost! Thyme is a great source for Vitamins A, B complex, E, K, and C. It is also full of antioxidants, electrolytes, and minerals. Some of the compounds in thyme have been found to improve mood, lower blood pressure, and fight unwanted bacteria. Thyme tastes great along with other herbs in Italian-inspired dishes and sprinkled over meats. Sage has become well known for its anti-inflammatory and antibacterial effects. Used for thousands of years in spiritual ceremonies as a smudge to ward off bad spirits and energies, it turns out sage actually has anxiolytic properties that may help ease tension in the body and raise your spirits (so to speak). Most of us aren’t necessarily culinary masters who know how to combine herbs and spices to make great flavors. That’s why I get excited when I find products that contain a mixture of herbs and spices that taste amazing. I love using Italian Seasoning on everything because it contains some of the most powerful herbs in one container! This one contains oregano, basil, thyme, rosemary, and sage! This combination is delicious and can be added to omelets, salad dressings, soups, or just about anything else you may whip up in the kitchen. For some extra spice, Bragg’s Organic Sprinkle is a blend of 24 herbs and spices that is absolutely delicious. The garlic, peppers, and lemon zest really add some unique flavor. This is my overall favorite seasoning and I always make sure that I am fully stocked! g processedingredients. In addition to herbs, salt, and pepper, this Cajun Seasoning is something that I have come to consider a necessity. It contains just the right amount of garlic, cayenne, paprika, cumin, and herbs. There are other flavorful blends to try from this brand that are wonderful and safe, such as Berbere, Poultry, Harissa, and Mexican Fiesta. Cajun and Mexican Fiesta are my favorites! Black pepper has many benefits including anti-cancer properties and the ability to increase bioavailability of other nutrients in our food (which I think is amazing). It is tasty and can be added to just about anything. In addition to pepper, salt is a necessity! When processed foods are removed from our diet, we can actually become deficient in sodium. 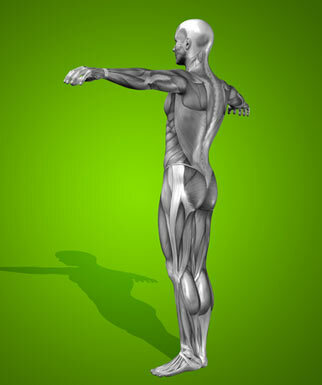 Sodium is needed for energy stability, cell communication, and muscle movement. It is needed for so many functions! I add salt to everything from salty and sweet treats to my every day meals. I will often even recommend adding a pinch to water before drinking. However, choosing the right salt is important as well. Standard table salt is overly processed and does not contain the original minerals that natural salt has. It is a completely different chemical structure that is highly inflammatory. Pink Himalayan Sea Salt is the least processed and most natural form of salt available. Slanker Meats can supply you with great quality meat products. They have organic and grass fed beef, sheep, cheese, goat, and bison. They also have organic pasture raised chicken and turkey as well as organic wild caught fish. Some of these items can be hard to find at your grocery store or they may be way overpriced. Slanker Meats is well known for quality at a fair price and shipping is free! companies as they both have great quality products and different discounts to offer. See which one is the best fit for your family’s needs. I try to always keep some type of good quality meat in stock in the refrigerator or freezer. In addition to a scoop or two of protein powder, I will have somewhere between 4-10 ounces of meat or eggs throughout the day depending on my activity levels. I absolutely love the convenience, taste, and versatility of protein powders. I rotate between 4 amazing protein powders and each have unique benefits. Bone broth is one of my favorite foods because its nutrient dense, gut friendly, and super convenient. Bone broth is packed full of amazing stuff like collagen, sulfur, selenium, glycine, potassium, calcium, and the list goes on. There are many different flavors of regular Bone Broth Protein that allow for versatile use in many different recipes savory and sweet alike! One of the primary nutrients in bone broth is collagen. 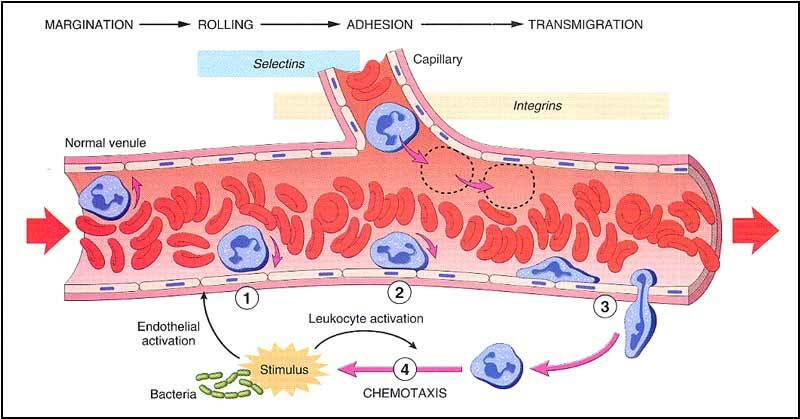 Collagen is rich in the amino acids glutamine, proline, and arginine which help to repair damage to the lining of the gut that builds up due to chronic inflammation (one of the many side affects of the standard american diet). This second powder is great for athletes. Many protein powders are full of artificial ingredients, sweetened with sugar, and come from inflammatory protein sources such as conventionally fed cattle. Whey protein powder should only come from grass fed and organically raised cows so that it will not cause inflammation in the body. This also gives great supply of CLA, which is an incredible antioxidant and great for boosting the body’s ability to burn fat. Natural Force puts out fantastic products. They cold process their whey protein which leaves the amino acids undamaged and bioavailable. It is free from soy lecithin, antibiotics, hormones, grains, GMOs, soy, and food additives. It is simple and pure and I can definitely taste the difference! In order to get the best and quickest absorption right after a workout, use one scoop of protein powder with unsweetened coconut milk. Stevia, berries, or a little pink salt to replace electrolytes, are also great for making the shake delicious and keeping the fast absorption rate. Pink Himalayan Sea Salt, stevia, and/or cocoa powder to taste. This next protein is from Ancient Nutrition and is called Bone Broth Protein Fit. This one is great for workouts in comparison to other bone broth proteins because it contains ashwaghanda, which is an adaptogenic herb that helps the body respond to the stress demands of a workout while also enhancing recovery. This herb has been shown to increase DHEA levels naturally as well as minimize a cortisol response to our workouts. 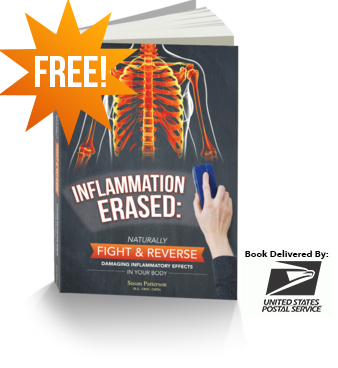 This is great for blood sugar regulation and minimizing inflammation! Another great protein that I use for clients with digestive issues is called Gut Healing Protein. This is a plant based protein so it is vegan friendly. I love this one because it is packed full of vitamins, minerals, and gut-healing compounds. On top of healing the gut, it helps improve immune function and reduce inflammation. This is one of the protein shake recipes that I personally used to heal my own leaky gut: Gut Healing Blueberry Shake Recipe. It tastes great and helped with my constipation, bloating, and food sensitivities! A good protein bar can be lifesaving for a busy schedule! I know having collagen and protein bars have given me energy when I needed it and was lacking access to a good quality home cooked meal. However, we must evaluate the quality of the bars we are consuming. Protein bars are typically high in sugar and other highly inflammatory ingredients. Even at a health food store I remember walking through an entire aisle of protein bars without finding a single one that was made without sugar or low quality ingredients. These are my favorite protein bars for when the ketogenic kitchen is just not available. I like the Bulletproof brand protein bars for use during ketosis because they have very little carbs along with MCT oil to help promote the formation of ketones. Although the Paleo and Garden of Life bars are low in sugar, they are relatively high in carbs so use these strategically after a hard workout or on days when cycling out of ketosis. Nuts and seeds are an easy go to that do not have to be cooked. They are a great snack that are low in glycemic index and full of fiber, healthy fats, and proteins! Nuts and seeds are commonly covered in oils that are highly inflammatory such as canola and vegetable oil. Be careful to check the ingredients and go for nuts that are in organic raw form and have no added inflammatory table salt or oils. Notice I didn’t include peanuts here. This is because peanuts are actually not a nut at all. Even more important to note is that peanuts are notorious for mold contamination and mycotoxins (even if we can’t see it) which makes them damaging to the brain. Your ketogenic kitchen (or any reasonably healthy household for that matter) is not complete without lots of healthy fats! Ghee is grass fed butter and works great for people with dairy intolerances because it does not contain the milk solids, such as lactose, that people struggle to break down. This is done by heating grass fed butter to a low simmer, which provokes the separation of the milk solids from the liquid. Ghee can be cooked with and added to bone broth for a great source of omega 3 fatty acids, butyric acid, and CLA. Coconut Oil is definitely a huge staple in the kitchen and is used for cooking, baking, and other treats! Be sure that yours is organic, cold pressed, and unrefined like this one. Grass Fed Butter tastes absolutely amazing on everything and it is a guilt free butter to cook with. This is butter created from cows that eat a grass fed diet instead of a grain fed diet, which makes the butter extremely nutrition instead of highly inflammatory. Coconut Butter is great for making treats with such as this recipe: Blueberry Coconut Cream Bars. Full Fat Canned Coconut Milk is something that can be added to shakes and soups every single day. Store bought coconut milk in the carton is great alternative to pasteurized dairy but often has most of the fat removed. Try blending a can of full-fat coconut milk with clean water to create your own that can be used over the week. Olives are perfect for topping salads with or a great Mediterranean dish recipe like this pizza. They contain a modest amount of healthy fats as well as a good dose of polyphenols and other antioxidants. Avocados are a great source of fiber, potassium, and healthy fats on a high fat diet. These can be added on top of finished dishes or salads. A personal favorite is this delicious guacamole salsa recipe. If you don’t like the taste of avocados, try this Supercharged Chocolate Pudding. I like to shoot for an avocado a day! Grass Fed Cheese is a delicious add on for just about any meal and is full of butyric acid, which is great for feeding healthy gut bacteria and promoting fat burning through ketone production. Some stores even have grass-fed cheese in its raw form (unpasteurized) which is a great option. Olive Oil should be consumed in raw form or cooked on very low heat in order to maintain the stability of its structure. This is great for making salad dressings and topping finished dishes as well. Lydia’s Sprouted Crackers are a great addition to the pantry and an easy on the go snack. There are many different delicious and homemade flavors! These are non-GMO and soy, gluten, peanut, yeast, and grain free. They are 100% raw, organic, and vegan. Mary’s Gone Crackers is another great brand that is whole food based and free of harmful additives and ingredients. Be sure to check out the different flavors! Flackers Flax Crackers are another low carb and tasty snack to have in the pantry. 6 crackers gives you 7g of fiber, 5g of protein, and 4.5g of omega 3 fatty acids! Sea Vegetable Snax are a great way to get your salty fix and replace chips in your life. They are also a great source of iodine which will help boost thyroid function. These contain olive oil and sea salt and they are absolutely delicious! These Kale Chips are an awesome blend of carrots, kale, flax seeds, buckwheat groats, scallions, orange juice, Braggs apple cider vinegar, extra virgin olive oil, garlic, and Himalayan sea salt. They are super tasty and a staple in my home! Coconut flakes are a great addition to chia pudding, homemade trail mix, energy bars, and even cooking. They are easy to integrate and taste great. I love snacking on Ellen’s Organic Raw Rounds Raw Veggie and Seed Chips. This brand is nut free, gluten free, non-GMO, vegan, dairy free, yeast free, corn free, soy free, egg free, kosher, and low glycemic. What more could you possibly want? Their Pumpkin Zucchini blend is delicious and made from zucchini, flax seed, pumpkin seed, coconut oil, coconut crystals, cinnamon, nutmeg, ginger, cloves, and pink Himalayan crystal salt. Their Sesame Tomato blend is also delicious and contains tomato, flax seed, garlic, sesame seed, olive oil, apple cider vinegar, coconut crystals, basil, cayenne, oregano, and pink Himalayan crystal salt. Another amazing flavor that they carry is Sunflower Spinach and it contains spinach, flax seed, garlic, sunflower seeds, olive oil, coconut crystals, and pink Himalayan crystal salt. I love these! Here are some amazing sweet potato chips from Jackson’s Honest Potato Chips. They are higher in carbohydrates so be aware if you are following a ketogenic diet and use sparingly if you are following a moderate to low carbohydrate diet. They taste absolutely amazing though! Giving up sweets such as cookies and chocolate can be really difficult. Thankfully, there are some really great homemade recipes! We also have access to cookies made with whole food and healthy ingredients now. 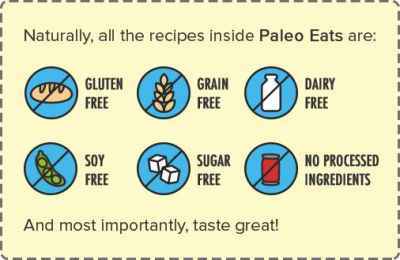 Tropical Caveman Cookies are made from almond meal, honey, coconut, macadamia nuts, and ginger. Ginger is great for bowel motility. Coconut and honey are amazing antimicrobials and coconut provides medium chain fatty acids for immediate energy. Almonds and macadamia nuts are some the healthiest nuts you can possibly eat. These are healthy cookies, believe it or not. Rainforest Caveman Cookies use honey, almond meal, Brazil nuts, chopped almonds, dried cherries, nutmeg, and cayenne peppers. These are super tasty! Mayan Caveman Cookies are chocolate chip cookies with chia seed, cacao powder, cinnamon, and chili powder. This is unlike any cookie I have ever had before and I absolutely love them! Note: Caveman cookies are a healthy alternative to other cookies but are still decently high in sugar due to the honey so consume in moderation. Paleo Chocolate Chip Cookies are absolutely delicious and made from all natural sources. These do contain 5g of sugar per 2 cookies so they should be consumed in moderation even though the sugar is from natural sources such as maple syrup and dates. These are a delicious and sweet treat that are also full of valuable nutrients! Coco Polo is my personal favorite kind of chocolate. It is sweetened with stevia and it is the first chocolate that actually tasted sweet and gave me my chocolate fix when I wanted one! I highly recommend experimenting with the different flavors and finding what is most satisfying to you! Lily’s Chocolate Chips are made with premium dark chocolate and also flavored with stevia and erythritol. These have 0g of sugar so as long as you do not have issues digesting sugar alcohols, these are absolutely great to have around for cooking. Lily’s Chocolate Bars are rich in prebiotic fibers and are another delicious treat to have in moderation. Cacao Nibs are raw and unprocessed little chocolate pieces. They are a little bitter in taste but when you combine them with nuts, bake them in cookies, or use them in protein shakes, they are absolutely delicious and add the chocolate kick you are looking for. They are also rich in anti-oxidants, magnesium, prebiotic fiber, and polyphenols making them a great addition to a healthy diet! Cacao Powder is the powder form of cacao nibs and can be integrated into baking, protein shakes, pudding, fudge, and more! Epic Bars are a great way to add protein into the diet. These are from grass fed and organically raised animals. They are a little softer than beef jerky but way more nutritious. Many of these products contain dried fruit which adds sugar but they also have a great Venison jerky that is made from only grass-fed deer, salt, and pepper (one of my favorites). Nick’s Sticks are grass fed beef jerky sticks and pack 10g of protein in each stick. Great for on the road! Herbal teas are a great way to get in more anti-oxidants and phytonutrients. Make sure to use brands without artificial fillers and chemicals. These are two that I use frequently. Be sure to check out different flavors! Paleo Wraps are the perfect replacement for tortillas. They are made with coconut meat, coconut water, and coconut oil. These are great for helping a family switch over to healthy eating when they are not ready to give up taco night or wraps for lunch. These Paleo Wraps are flavored with turmeric which is well known for its anti-inflammatory properties and helping to heal joint pain. These Organic Veggie Wraps Veggie Wraps are the perfect replacement for inflammatory spinach wraps. These do not contain harmful ingredients and work great! For those of you who want a great bread replacement that is gluten free and made with healthy ingredients, check out these Paleo Breads! This Paleo Bread is made with almond flour. This Paleo Bread is made with coconut flour. 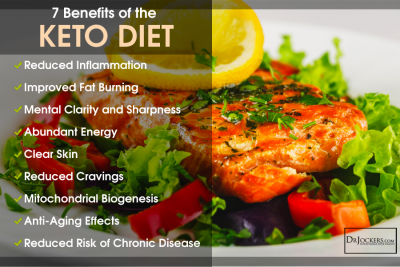 Hopefully this article gave you a few ideas that will work for your personal ketogenic kitchen and health journey! It is our mission and passion to provide the public with education that can be trusted and that is helpful. If you have any suggestions that I left out leave a comment below so we can all benefit!